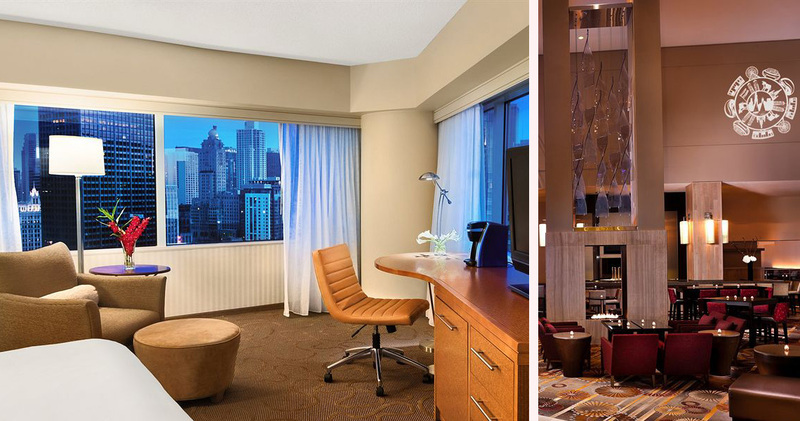 Housed in a building made entirely of glass, Swissotel Chicago combines luxury accommodation with outstanding architecture and spectacular views. 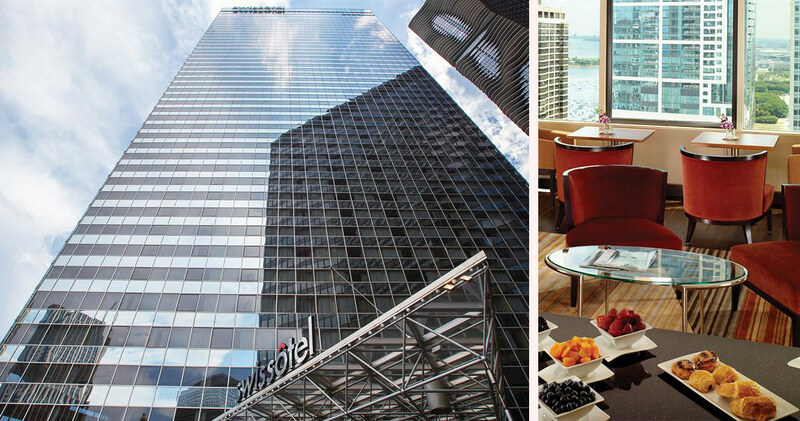 The iconic Swissotel Chicago was designed by the renowned Harry Weese. Its unique shape makes it stand out from the rest, constructed entirely of triangular and diamond-shaped panels of glass which create an extraordinary facade. 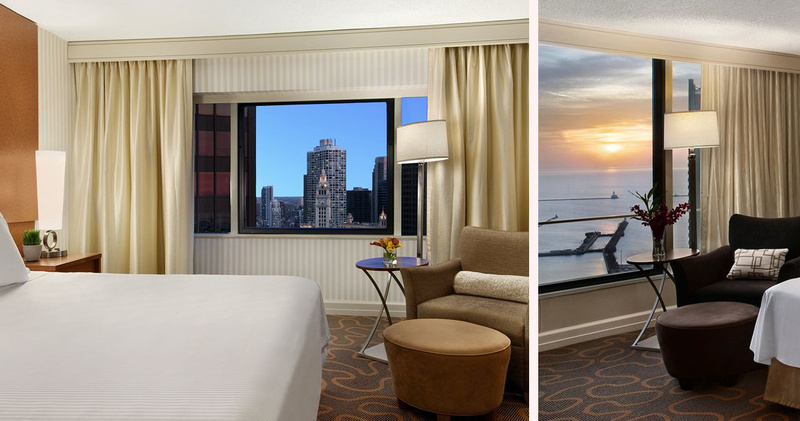 Views stretch from Navy Pier to Millennium Park, offering an ideal setting to enjoy panoramic vistas while just minutes away from the Magnificent Mile and other major city attractions. Boasting a newly renovated lobby with décor inspired by Swiss elegance and contemporary European style, the Swiss Hotel Chicago promises to be one of the most prestigious properties in downtown Chicago. 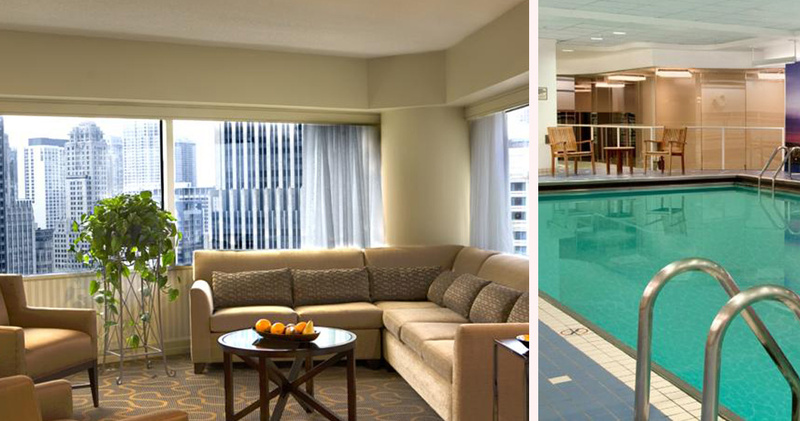 Swissotel is home to 661 rooms and suites, all of which are tastefully decorated in warm and relaxing colours. 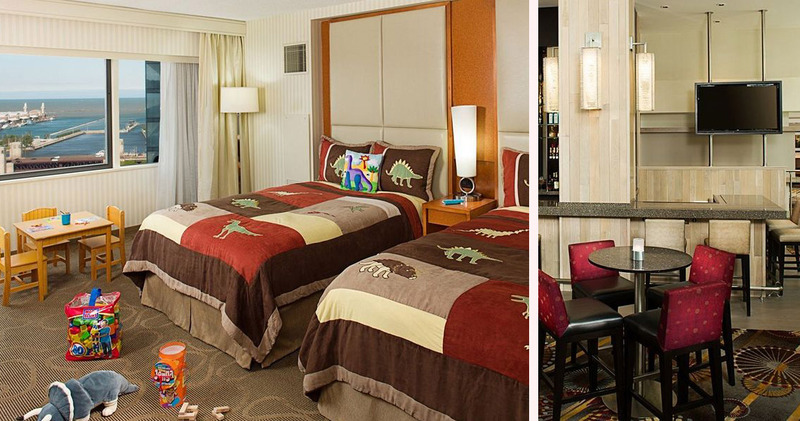 The rooms are designed with productivity in mind, and provide a range of amenities to reflect that. Featuring an oversized desk, ergonomic seating, multi-port docking stations and high-speed Internet, there is comprehensive provision for business guests to work in comfort and style. 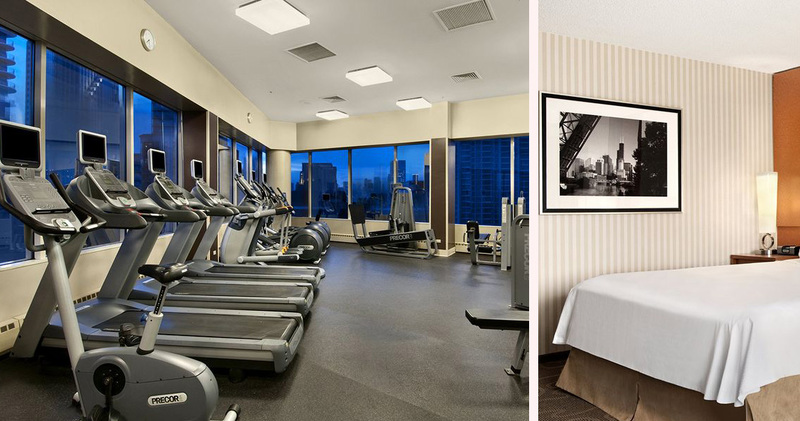 Guests can also opt for a suite with an assortment of additional superior facilities, such as a private gym, deluxe fireplace, or split level skyline room. 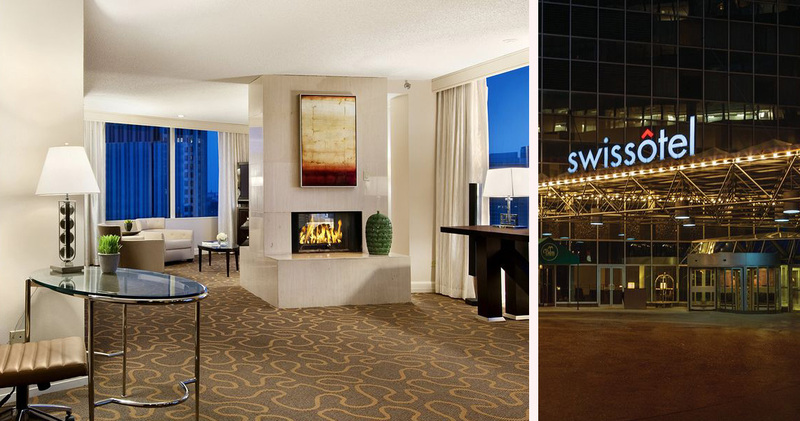 Swissotel Downtown Chicago Hotel offers three eclectic dining options. The Geneva Restaurant serves authentic American cuisine with a European flair, including dishes such as Belgian Waffles and Egg Frittata. The Palm Restaurant is the definition of luxury dining, with fine décor and extravagant dishes including lobster and steak. Guests can also enjoy drinks in the comfort of the hotel lobby in Amuse Bar.